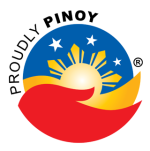 News on Philippine TV revealed several controversies on Gloria Arroyo's latest money-splurging activity in the US. First, a very expensive dinner in a French restaurant called Le Cirque in NYC amounting to $20,000. 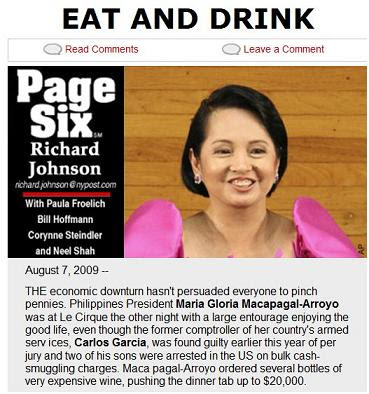 Malacanang sources say she did not pay for the tab - it was paid for by another Philippine public official. And then came another dinner at Bobby Van's in Washington - pushing the tab to $15,000. I wonder what's next for President Arroyo this time? Perhaps a Vegas vacations paid by another high government official? Still, you government officials paid for it. Question now is "Whose money?" tara "lunch" na lang tau sa alchemy!